I used to play WoW far too much, but really haven’t had time to do much other than stick my head in occassionally to say hello to friends lately. 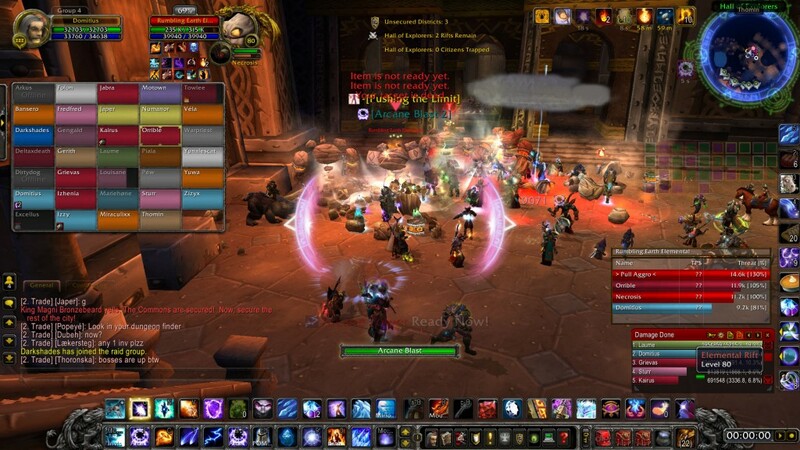 I am enjoying the pre-Cataclysm expansion events though. The final phase before the in-game world gets changed irrevocably kicked off today and I caught an early part of it by accident. 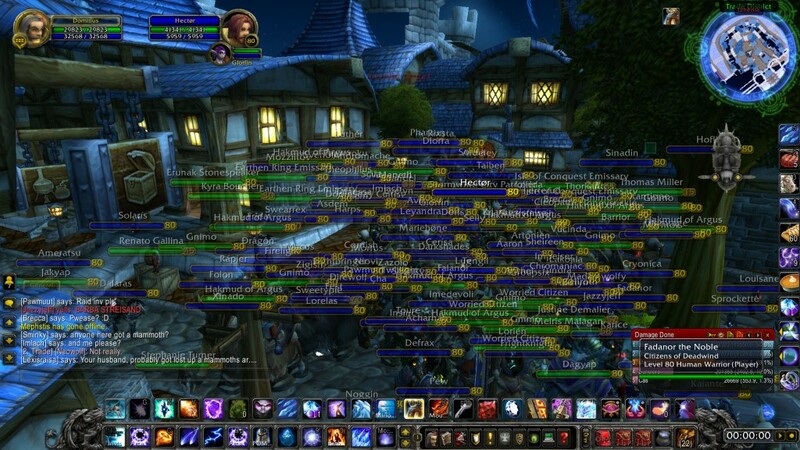 The major cities – Ironforge, Stormwind, Ogrimmar, Thunder Bluff – get overrun by elementals, causing almost every player currently online to pile into the same location and fight them off. It’s quite the experience… probably a hundred or so players in one space when I logged in It’s a guess but we reckon there were around three hundred players on Stormwing docks at one point, and then four bosses to fight afterwards. 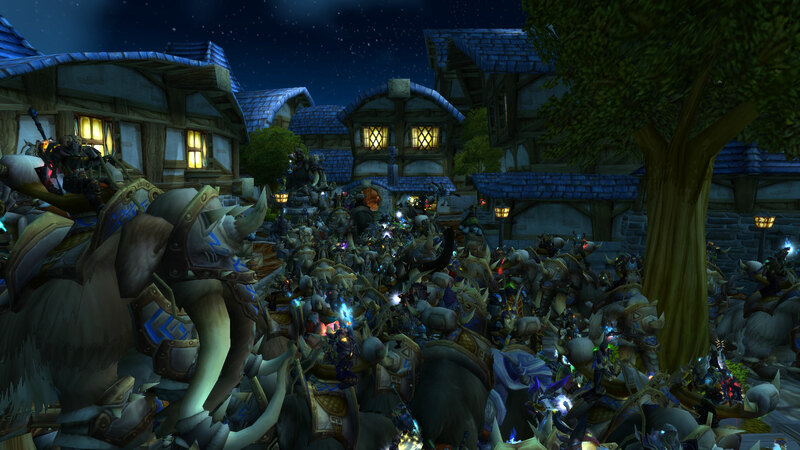 A lot of people on elephants, queuing for the next event. Seriously, it's a lot of elephants.